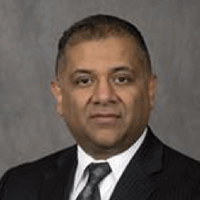 Dr. Kalvin N. Joshi Esq., J.D., is a clinical associate professor of business law and international law in the WSU Carson College of Business. He serves as faculty advisor and team coach for the Carson College of Business annual student team entry in the Consortium of Undergraduate International Business Educators (CUIBE) Global Case Competition. Dr. Joshi is a fellow of the International Business Institute. He is licensed to practice law and admitted to several bar memberships, both domestic and international, and is an active member of numerous Bar Associations. Dr. Joshi was named a 2017-2018 OMBA Faculty of the Year recipient. This is in part due to the level of enthusiasm and care that he brings to the MBA capstone course, which has become an interactive, personal experience for his students.